POWER ON! FOR BETTER CUSTOMER SERVICE: “This new and world-class power substation of Cotabato Light would definitely make a difference in terms of power reliability and flexibility – that would mean better customer service!” Davao Light SOD Manager Judy Sanchez said. In the morning of September 22, 2011, a new heart in electric distribution of Cotabato Light was born after almost a year of painstaking efforts of the planning, design, and substation teams. Now, a newly constructed 10MVA 69/13.8kv Power substation – Malagapas substation has been energized and came to life. From the look at it, we can tell that this 30M worth of power substation is world-class in itself with all that huge investment poured in it by Cotabato Light. And, that structure is strategically located in the southern part of Cotabato Light franchise area. With this new Power Substation, it will definitely improve Cotabato Light’s power reliability and system flexibility. Unlike before, that only two (2) substations are handling Cotabato Light’s franchise area, now with the addition of Malagapas substation, all 3 substations can have some “breathing space”. With vital installations such as the airport, military camps, hospitals, city and provincial offices now being supplied from the feeders of this substation, we can address the distance factor with ease. The Power substations are the focal points of voltage regulation, not just responsible for transforming voltages but also in isolating areas during occurrence of faults. Gracing the inauguration on that bright and sunny morning were Davao Light’s SOD Manager Judy Sanchez, SEED Manager Virmel Dabon, T&D Supervisor Edgardo Abad, and Cotabato Light’s Power Generation Manager Jun Ticzon and Corpcom & Brand Officer Donjie Vertuoso. Also present during the turn-over were Davao Light’s Project team headed by Joe Mascardo – SEED Supervisor, Jaime Derecho – Project Engr., and Jay Duluguin – SEED Planning & Design Engr. Accepting the responsibility was handed to Cotabato Light Engineering Group Manager Paul Michael Cazar, SEED Supervisor Armando Baguio, T&D Supervisor Bernabe Parcasio, Safety Officer Pepito Lubguban, and SEED team members Erwin Castillo and Mark Putalan. Some Cotabato Light personnel were also present to witness the momentous event. The next day, the Malagapas substation has sprung into action as a load distribution scheme has been planned out together with the other two existing substations. It had been optimized to handle the loads being served by Cotabato Light in its franchise area. 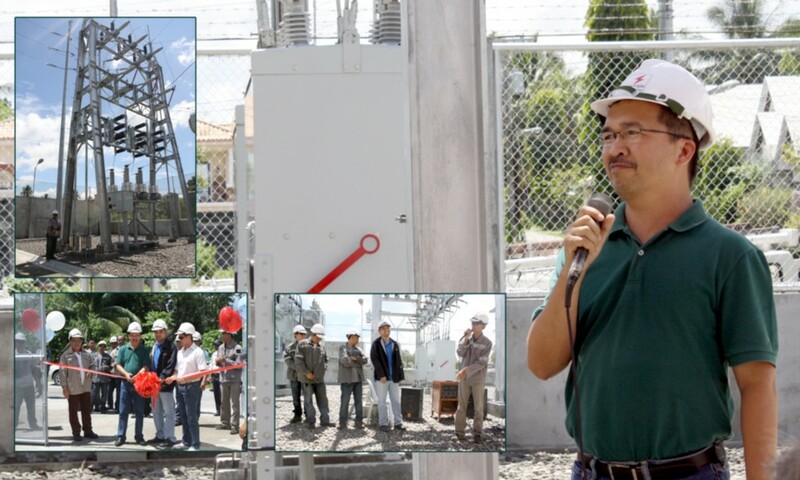 That was a momentous occasion for Cotabato Light, something worthy to be proud of because this new substation would make a difference in terms of power reliability and better customer service.